US historian Doris Kearns Goodwin’s new book offers fascinating insight into four of the best US presidents. THROUGHOUT the years of World War II, American President Franklin Delano Roosevelt would host a daily cocktail hour at the White House where conversation was limited to books people had read or the latest Washington gossip. Affairs of state and the wars raging across Europe and the Pacific were not discussed. 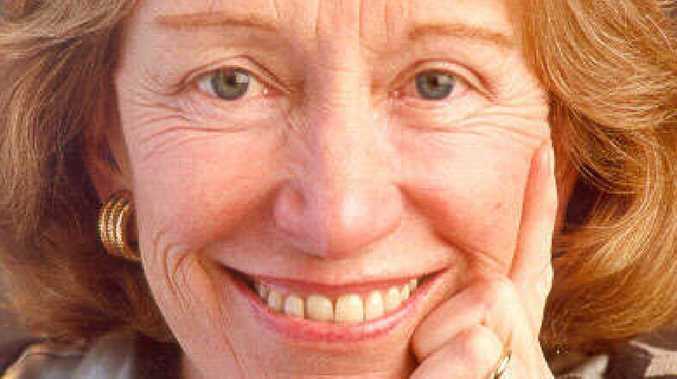 This is one fascinating detail that Pulitzer Prize winning historian Doris Kearns Goodwin includes in her engrossing look at the leadership of four great presidents - as well as FDR, there's the other Roosevelt, Teddy, Abraham Lincoln and the great man of the modern era Lyndon Baines Johnson. Goodwin reminds us that Lincoln took time out from the Civil War, regarded as the USA's greatest political, moral and constitutional crisis, to attend the theatre on hundreds of occasions during his four years in office. Lincoln's enthusiasm for the theatre proved deadly. He was attending a performance of the play Our American Cousin as the war was coming to close when John Wilkes Booth entered Lincoln's state box and shot him dead. The famous statue of former US president Abraham Lincoln in Washington DC. Goodwin makes the point that even the greatest leaders need time to chill out and get away from the stresses and strains of office - the equivalent of blocking access to social media and email on your phone after dinner time. At the heart of Goodwin's book is a connected narrative about building and using political power through persuasion - through great speech-making and storytelling. These four presidents were among the best when it came to the art of convincing the public. Lincoln was probably the greatest - someone who would be called "a natural" if he was a sportsman rather than a politician. The other three often made hard work of learning through mistakes and setbacks. Lincoln didn't need social media to get a crowd. He had the original Facebook - word of mouth. When he was going to speak at a big city or a small town, news soon spread and the local population as well as people from miles around. "Lincoln drew crowds from the countryside eager to be regaled and entertained by a master storyteller," writes Goodwin. Former US president Franklin D Roosevelt (1882-1945). In tracing the early life and then time in office of this quartet of presidents, Goodwin is keen to emphasise how unalike they were. They possessed different backgrounds, temperaments and abilities and followed individual paths to the White House. How fascinating it is to follow some of these experiences and traits - Lincoln's disciplinarian father destroyed his son's beloved books while FDR was all but smothered by a loving mother and Teddy Roosevelt had an almost insatiable curiosity which fed an obsessions with birds and other animals. It was Johnson who from an early age was the consummate politician, someone who Goodwin says could never unwind causing him to channel his at times manic energy into ambition and political goals. 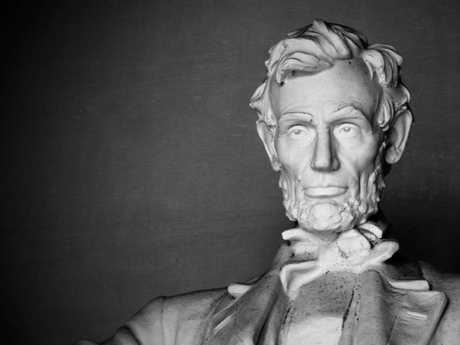 Lincoln used oratory to bring at least the northern states with him when freeing the slaves - as limited as his achievement might have been at the time when he sold his mission as "saving the union" with emancipation as a side benefit. Goodwin makes plain the other three easily marshalled their storytelling skills with Teddy Roosevelt achieved great things on the domestic and global fronts from federal protection of land and wildlife, passing some of the first comprehensive consumer protection laws and a broader policy of American intervention abroad. 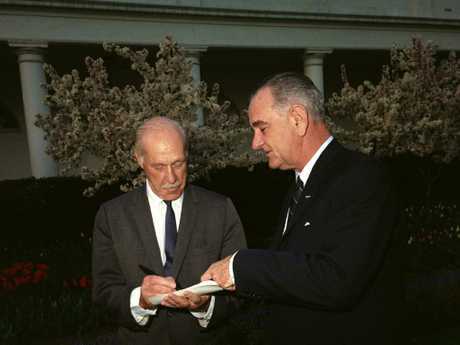 Journalist Drew Pearson in the White House Garden with former US president Lyndon Johnson in April 1964. 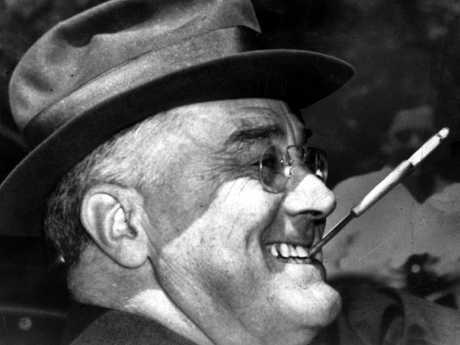 FDR nursed a bruised country through the Great Depression, with a series of 31 fireside chats from the mid-1930s to the end of World War II and the visionary recovery programs known as the New Deal. For Johnson he was a hero at home, passing the Great Society laws which enacted universal social security and introduced medical care for the poor and elderly as well as challenging his own southern Democrat voter base by get civil and voter rights through Congress. The best window on leadership comes from what Goodwin says about Lincoln of whom she lists the traits of "kindness, empathy, humour, humility, passion and ambition". "He grew, and continued to grow, into a leader who became so powerfully fused with the problems tearing his country apart that his desire to lead and his need to serve coalesced into a single indomitable force," writes Goodwin. "That force has not only enriched subsequent leaders but has provided our people with a moral compass to guide us. "Such leadership offers us humanity, purpose and wisdom, not in turbulent times alone, but also in our everyday lives." These lessons of leadership and the too often forgotten art of storytelling are essential to our modern politicians trying to make something of themselves. If they've got a pinch of talent they will benefit from the wisdom in this book.